NEW LOOK AT Rises NOVA - Legacy: The best sci-fi shooter back in the time of the first episode of the celebrated and critically acclaimed kosmosagi NOVA - the new compact 20MB package! Our hero, Kel Uorden, who left the ranks of the NOVA unit, must again don the mobile bronekostyum and stand up for the colonial administration. With the support of Elena's personal AI assistant, Cal will enter the battle for the future of humanity against alien invaders and parallel to unravel the mystery that lies behind their sudden attack. 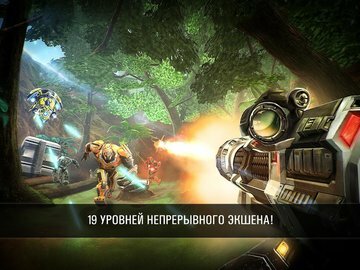 LEVEL console games on mobile: - The explosive space shooter based on the celebrated series of games from Gameloft, made in the same format with a series Modern Combat. 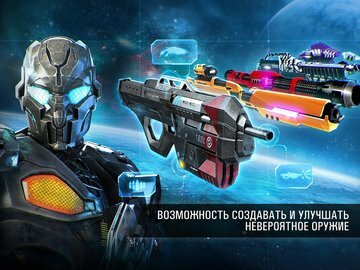 - Create and improve weapons - from assault rifles to a deadly plasma-cannons. - You will be familiar and favorite NOVA with improved graphics and gameplay. 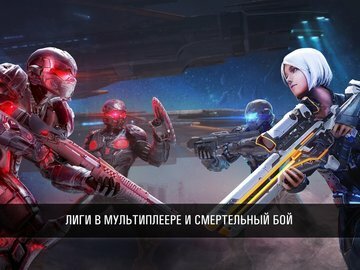 Defeat the alien invaders in the different game modes: - Story: Complete the whole story from beginning to end and stop the forces behind the alien invasion. 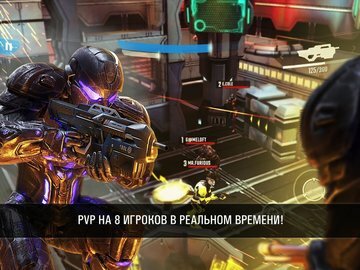 - Shares of Shadows: Defeat the Special Forces in the alien complex blitz shares. - Special operations: Lead strategic blow to the key positions of the aliens. Try out your skills in the battle over the network: - The fight to the death: Stay on your feet the last of the 6 warriors in the arena. 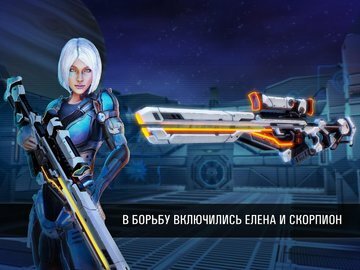 - Pick up the appearance of a soldier from a variety of alien and human form. - Leaderboards and Action Camera victories over their enemies. Updated: 11 февраля 2019 г.